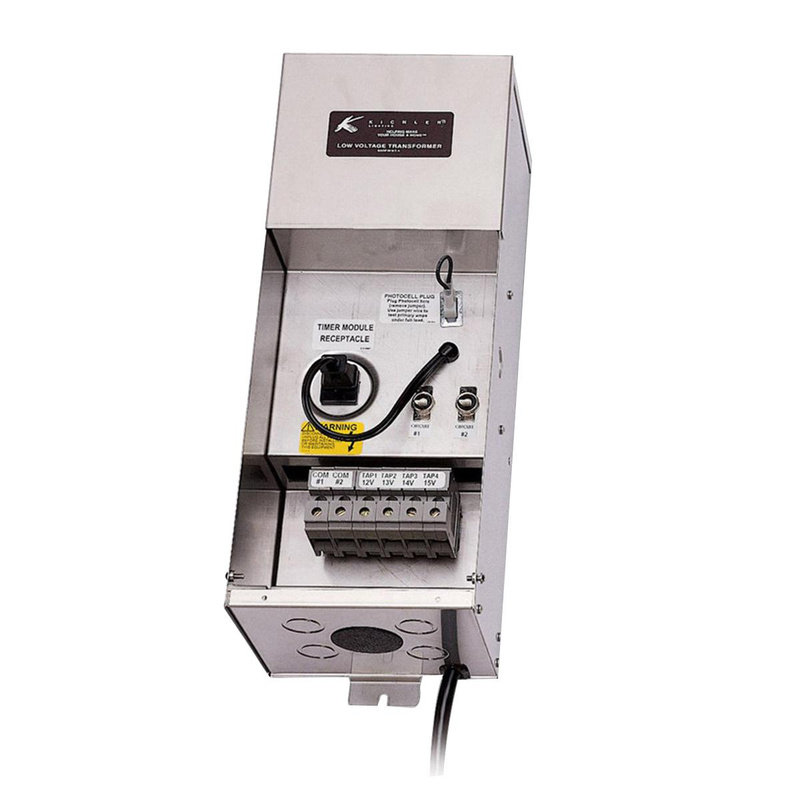 Kichler Professional Series Transformer has primary voltage rating of 120-Volts and secondary voltage rating of 12-Volts. Transformer has power rating of 300-Watts. Transformer features stainless steel enclosure. It has 36-Inch lead wire connection. It measures 19-Inch x 5.75-Inch x 5.5-Inch. Transformer is UL listed and CSA certified.